With time rapidly ticking away before graduation I often find that undergrads fall into two distinct camps. 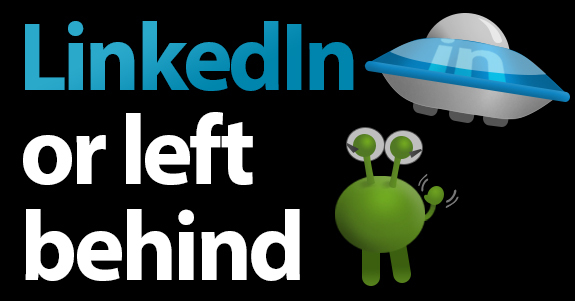 Whichever camp you’re in, now is the perfect time to either start your LinkedIn journey or to beef up your profile and I’ll try and explain why. Graduate recruiters are increasingly using social searches to whittle down their lists of potential candidates so being on LinkedIn is an opportunity to show off your wares in a professional light. In the grand scheme of things very few undergrads are on LinkedIn and of those that are, only a handful are gaining any leverage from it. If you can develop a strong LinkedIn profile now, when you come to apply for graduate roles, internships or even work experience positions you’re going to be well ahead of the game. Lock down your other social networks – Before you start, be sure to set the privacy settings of your other social networks to ensure that strangers can’t see your content. Even the best LinkedIn profile can’t make up for endless pictures of you face down in a pile of your own vomit or images of you gurning at an all-night rave. Now that you’re about to start social networking for professional reasons it’s time for some brand management. Make sure that your brand looks good, all of the time! Dress to impress – It’s human nature to make snap judgements about someone based on how they look. Your LinkedIn profile photo is going to be the first thing that a recruiter sees so you better make sure that it’s a professional one. If you know someone who’s handy with a camera get them to take a professional looking photo and be sure to look dynamic, there’s nothing worse than a dull photo. Headlines sell –Any journalist will tell you that headlines sell newspapers and the same goes for your LinkedIn profile. Craft a succinct and punchy headline to catch a recruiter’s attention. Fill out your profile – Too many grads leave their profile information empty. This is your chance to include information about relevant experience that you have. List any internships or voluntary roles and be sure to list any of your responsibilities. Also, if you have any quantifiable achievements, now is the time to include them. For example, if you’ve consistently achieved over 70% throughout your degree, listing this on your profile will help to show your dedication. Education can speak volumes – Even if you haven’t got much work experience, the way in which you present your studies can help a recruiter understand how your degree can translate to the workplace. Demonstrate that your degree has given you transferrable skills and you’ll be well on your way to impressing an employer. Make connections within your chosen area – Making connections on LinkedIn within your industry can be tricky for undergrads. A good place to start is to connect with any of your tutors who may be able to give you recommendations. They could even suggest you to others in your industry. You may also want to think about approaching individuals on a speculative basis. If you do this be sure that you don’t use LinkedIn’s auto connect or generic messages (read more about that here). Start by introducing yourself and let them know why you’d like to connect. If you are approaching them to see if they can offer you any experience, try not to be pushy and offer them an easy way out. This can actually be a good way of endearing yourself to them and shows your professionalism. In my experience I’ve seen that a well worded request can do wonders so why not give it a try? Get the right recommendations – The one thing that you don’t want to have is worthless or embarrassing recommendations. I’ve seen recommendations from student’s parents on LinkedIn about how wonderfully hard working their son/daughter is. Steer clear of anything in this vain as it’s easy to see through. The great thing is that LinkedIn recommendations aren’t too hard to come by. They’re like currency, if you spend a little by giving a recommendation you may get one back. Start by writing a recommendation for your favourite lecturers. Hopefully they will return the favour and offer you a positive recommendation. If you’ve completed any internships, volunteering or paid work, recommend key figures that you’ve worked with and before long you’ll have plenty of recommendations to show prospective employers that you’re worth employing. Are you already on LinkedIn and not sure how to get the most out of it? Or, have you been thinking that it’s pointless getting on LinkedIn until you’re in a professional role? If you need any help feel free to get in touch for some advice!